Postweld heat treatment (PWHT) includes any heat treatment after welding. The objectives of PWHT of carbon steel and low-alloy steel weldments are to relieve welding residual stresses, decrease hardness of the heat-affected zone, improve ductility and notch toughness, and release diffusible hydrogen. Among these objectives, stress relieving is the main purpose, and PWHT is also referred to as "stress relief annealing (SR)." Austenitic stainless steel welds are not subject to PWHT in general. However, when the weldment is to be used in a severe corrosive environment, PWHT is applied in order to dissolve chromium carbides by solid solution heat treatment, stabilize niobium carbides (NbC) and titanium carbides (TiC) by stabilizing heat treatment, and relieve residual stresses by SR. Essential factors to be noted in PWHT are heating rate, soaking temperature and period, cooling rate, and temperature difference in the weldment during the heating and cooling cycle. The soaking temperature and time are primary factors because they determine the stress-relieving rate and the quality of the weld. 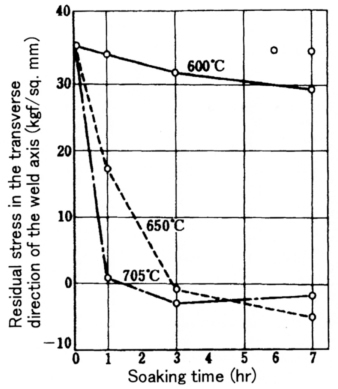 Figure 1 shows how the soaking temperature and period affect the stress-relieving rate in the case of 2.25Cr-lMo steel welds. In order to ensure a uniform temperature distribution and minimize thermal stress, maximum heating and cooling rates and a maximum temperature difference are specified, too. While the metallurgical effects of PWHT are generally beneficial, there are some negative features. Extended heating may reduce the tensile strength and notch toughness of welds. Certain types of Cr-Mo steel welds may develop "SR cracking". In most fabrication, PWHT is carried out in a furnace as in Figure 2 (Top). 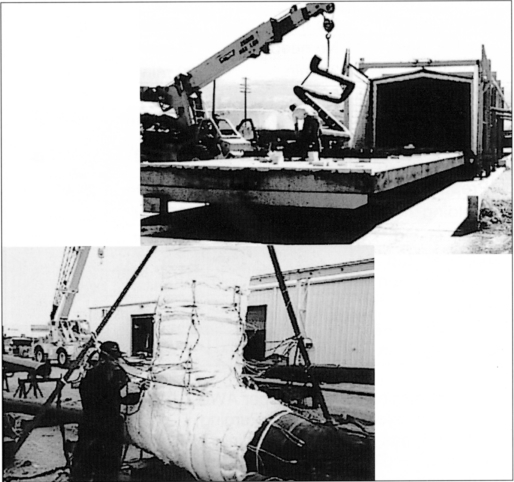 In the case of large construction sites, it may be economic to erect temporary, tailor-made furnaces for annealing pressure vessels and piping spools. On large, site-erected vessels such as coke drums and storage spheres the work itself may, in effect, become the furnace. Furnaces are usually gas or oil fired. Normally a furnace will be fitted with a number of fixed thermocouples but for major pressure vessels thermocouples may also be attached to the vessel itself to control the temperature more precisely. Field joints in pipework are frequently given a local PWHT as in Figure 2 (Bottom).